Since there were no reviews for this gun, I just had to write one. When I first took this gun out of its box, I noticed it felt very solid. It has a good weight to it, the slide isn't loose and takes more than a light pull to move. And at the same time, the spring isn't too strong so that it affects the blowback, (which is VERY nice, the gun has a great kick to it). It is also quite loud when shooting. The FPS was great, it feels great in my hand, I don't know what else to say about this gun. 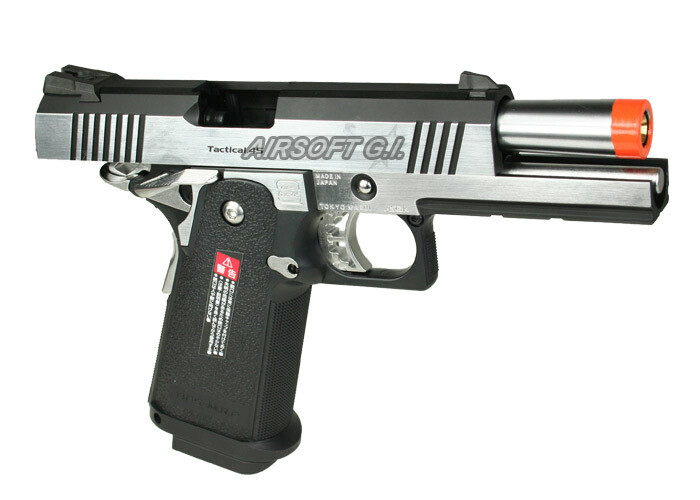 For the price, this is a fantastic GBB pistol from Marui. Nothing I have found yet. 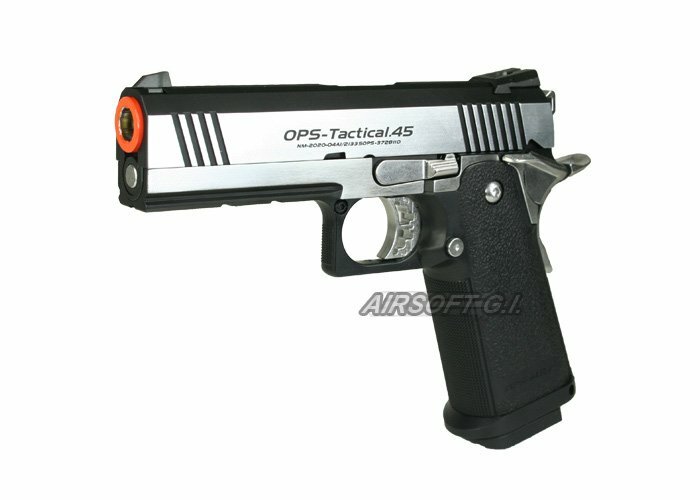 This is a FANTASTIC Sidearm! There are almost no flaws with this gun; the blowback is hard and crisp, there is minimal barrel wobble, the magazine capacity is perfect (28 rounds), the loaded weight is amazing, and the build is top of line. Not to mention its very gas efficient and feels great in the hands. 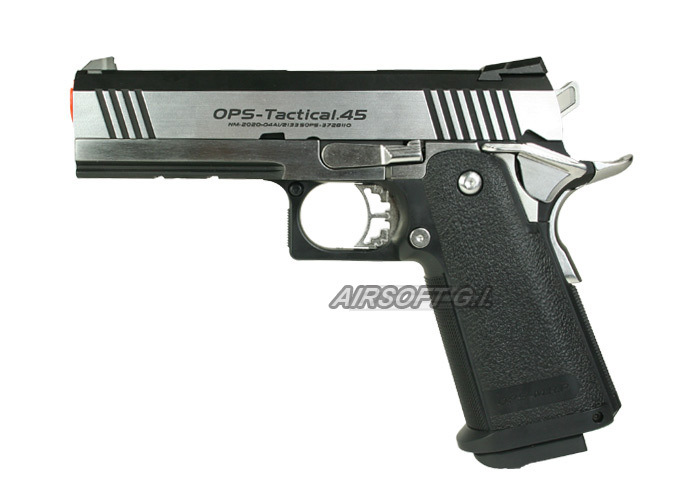 When I first received this pistol in the mail, the first aspect of this gun is the plastic that the body is made of. It looks and feels almost like metal and is sturdier than any [metal] WE product. The grouping of the shots was also outstanding from about 100 feet, and this gun is highly upgradable (just check out the GI video about the Hi-capa series). But, one thing to consider is that this is a Japanese made product, so don't expect the higher stock FPS that you get from American or Chinese guns. 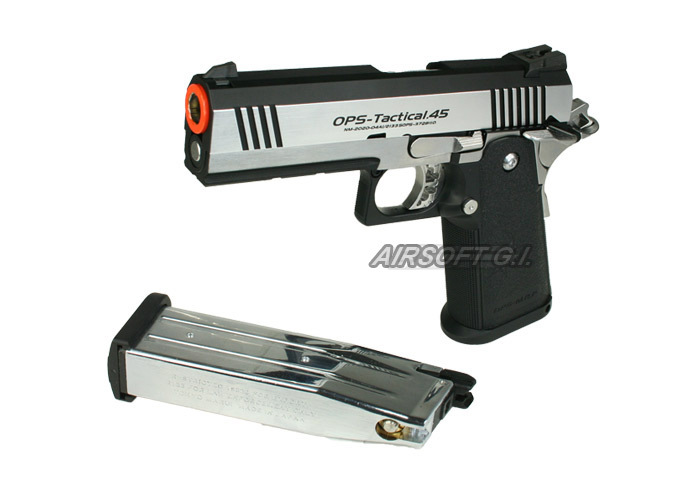 If you don't mind dishing out the cash, you have yourself what may be the best airsoft pistol on the market.